Simplify your life with FREE pick up & delivery to your home or office! Why Try Our Home Delivery? You pay the same price as any of our walk-in stores. Pick Up & Delivery right at your front door. You don&apos;t even have to be at home. We&apos;ve been voted Best Dry Cleaner for 10 consecutive years! Your cleaning is charged directly to your VISA, MasterCard, Discover or American Express. As a Delivery customer, you also receive all the benefits of our Email Club. Use your Home Delivery bags at any of our 10 locations for same day service. Simply sign up online or through our mobile app. 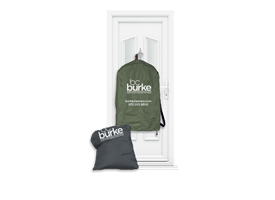 We will provide you with 2 Burke Reusable Home Delivery Bags. Do you deliver to Greeley? Free delivery is available for Greeley residents in 80634 only. No. Your Delivery Driver will provide service to your pre-determined location. 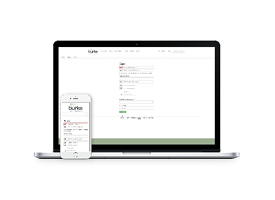 Upon sign up you will receive an email with your pick up and drop off days. Pick up days will be either Monday/Thursday or Tuesday/Friday. We will inform you about schedule changes for pick up and delivery during holiday weeks. Cell phone or Email Notification is best. You can also check our blog for the latest updates if there is extreme weather. If you would like to recycle your hangers, we will provide you with a hanger recycle caddy. When you fill it up, leave it with your order and your Driver will pick it up. For prompt assistance, call (970) 203-9600 ext.5 or email Delivery@BurkeCleaners.com. 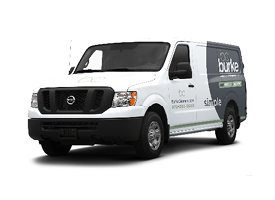 Click here, call (970) 203-9600, or email delivery@burkecleaners.com.